McQuilkin Music features a full line of quality pre-owned pianos and restored heirloom quality pianos ranging from entry level instruments to fine, world-class pianos. Few place as high a value on older instruments as McQuilkin Music. Steinway, Yamaha, Baldwin, Mason & Hamlin, Chickering, Knabe, and Sohmer are just some of the names you’ll see in our store. 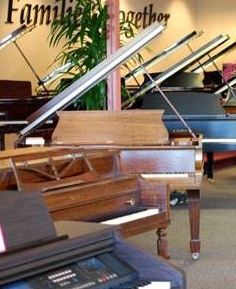 Call Michael for a preview of available pianos (707) 236-0936.